In it’s humble beginnings, Snapchat was a fun mobile app that enabled users to send a self-destructing photo or video to their friends. Many scoffed at the idea of impermanent content sharing. Fast forward to today: major North American brands such as MTV, National Geographic, CNN, Food Network and Mashable have their own dedicated Snapchat storyboards that they update regularly with tidbits of expiring content. So what is it about Snapchat that has kept peoples’ attention for so long, and how could your brokerage or personal real estate corporation benefit from the massive popularity of this millennial-infused, pseudo-social network? Snapchat is a smartphone app that allows you to send a photo or a video to one or more people on your Snapchat contact list. What makes Snapchat unique is that the photo or video has a short lifespan – you can send a video up to 10 seconds long and you can choose to show the photo you send for anywhere between 1-10 seconds. Then the photo or video is gone forever. You can send your Snapchat to a single individual, a few people, or to everyone on your list at once. 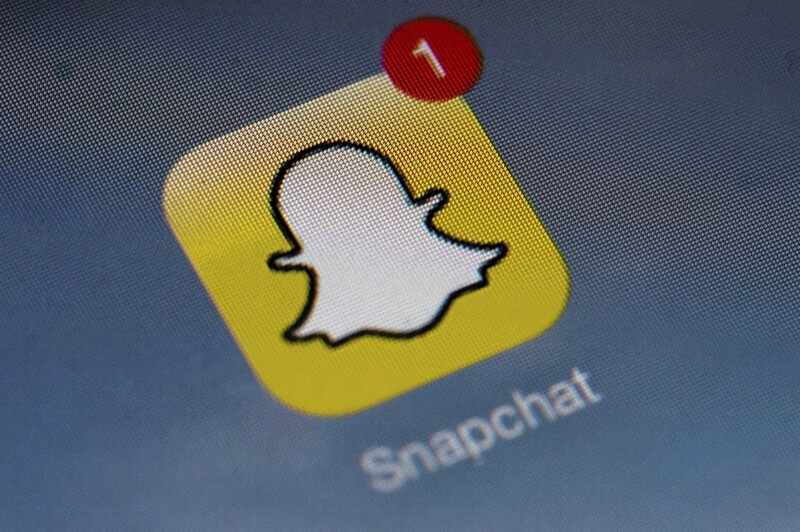 When somebody receives a Snapchat from you, they must hold their finger down on it in order to reveal the photo or video – if they remove their finger, the photo or video stops showing. If their finger slipped and they missed your Snapchat, or if they simply want to re-watch it because it was so awesome, they are afforded the chance to replay the Snap only one time. When selecting which friends should receive your Snapchat photo or video, you also have the option to send it to “My Story’. My Story is an extended Snapchat storyboard that consists of any Snaps you have sent to it in a 24 hour period. It’s a rolling story that your friends can choose to watch, and it can contain as many Snapchat photos and videos as you choose to add. Your friends can hold their finger down on Your Story, and watch all of the Snapchats you have sent there in the last 24 hours in sequential order. Your Snapchat Story can be watched over and over again by your friends, and each Snapchat you add to it only expires and disappears 24 hours later. Snapchat also has a bunch of fun features that help you spice up your Snaps such as filters, the ability to draw on your content, the ability to add emojis and even to add custom text. Another great feature is the ability to respond to somebody’s Snap with a Snap of your own, or with a simple text response! Not only does the quantitative data tell us that millennials are a viable target market for sales, I can personally tell you that in the past three years I purchased real estate for the first time, and I have dozens of friends in my age range who have or are in the process of purchasing their first properties. My friends are starting families, they are secured in their careers, their parents are downsizing and handing them down payments, their student loans are almost paid off which frees up space for savings and more investments. My friends and I are one of your prime niches for making big money, and we are all active on Snapchat. I’m going to throw out a number of different Snapchat marketing ideas and thought starters for real estate agents and brokerages in point-form below. Promote your Snapchat “Open House” on your website and social media channels. Let people know that they can tune in to your Snapchat Story anytime on Saturday to watch live Snaps from an open house. You can either film all of the Snaps before the open house begins, and add them all to your Snapchat story (which will exist for 24 hours). Alternatively, you live-Snap the open house while people are walking through. This could afford you the possibility to ask potential customers what they think about the place, what they liked, what they didn’t. You can showcase every room, or you could get into nitty gritty details, like showing off the beautiful baseboards or the view. Send 10 second market report videos to your Snapchat contacts. Film a selfie video of you giving them the straight-goods about some market statistics, and don’t try to fit everything into one video. Break it down into 4 or 5 engaging clips, and send them throughout the day, whenever you have 10 seconds! This is a great way to keep your personal brand alive in peoples’ minds on a regular basis, and to promote your expertise on the subject. Send photos of beautiful homes in a neighborhood to your contacts and add them to your Story as well, so your contacts can view a bunch of beautiful properties, updated regularly, whenever they check out your Story! Ask your Snapchat contacts a question using a photo with text or a short video. Get them to respond either via the text function in Snapchat or by sending you a photo or video back. Send them a photo of a house and ask for their rating out of 10… Send them a video asking them to share the view from their place… Engaging your audience is extremely valuable regardless of which online platform you’re using. Showcase your personality through video and photo Snaps regularly, and add them to your story. Give potential customers a chance to get to know you before they ever meet you! I don’t need to tell you that buying real estate is one of the biggest investments most people will ever make, and they won’t make that investment until they feel comfortable with their agent. Snapchat can help. Showcase the agents at your brokerage through a short video clip. Film 10 second clips of each agent at your brokerage, maybe mentioning their favourite quote, or stating how long they have been an agent, or which awards they have won, or just saying a friendly hello. Send these snaps to your Snapchat contacts regularly, but not back to back. Maybe once a day! Send photos and videos of funny or interesting daily occurrences at your offices to showcase your corporate culture. Whether your brand is fun and light or luxurious and high-end, the possibilities with this one are pretty much endless… you could show off the conversations around the water cooler, or you could show video of agents pulling up to the office in their sporty vehicles. Special occasions would warrant their own unique Snaps such as a Merry Christmas group photo or an April Fool’s Day prank. Commemorate that special moment in clients’ lives when they sign their ownership papers at your office with a Snapchat video or photo of the happy new homeowners. Send video Snaps of top executives at your brokerage giving pointers to home buyers and sellers. A couple quick tips about staging your home for open houses, or maybe a quick explenation of why buying a property with the help of a REALTOR® is a wise choice. Take photos of new listings that are arriving on your agents’ desks, and add them to your Snapchat Story, so that people can constantly watch for the newest listings released by your brokerage, fresh every 24 hours! The great thing about Snapchat is that it helps you join the community of fellow-snappers rather easily. You can search your contacts for Snapchat members, and add them as a friend. Many of them will return the favor immediately, and you can begin sending them Snaps (and they to you). But much like any other social network, if you decide to implement Snapchat into your marketing strategy you should be including your Snapchat username on all of your business collateral. Let people know that you are on Snapchat by adding the icon and your username to your website, your Facebook page, your Instagram bio, your Twitter bio, your LinkedIn profile, your RESAAS profile, your brokerage site, your business card, and all of your other marketing materials. And don’t be shy to mention it to potential clients next time you’re out at a networking function. I guarantee it will raise a few questions. My personal belief is that those who use the app and who spot the Snapchat symbol on your marketing pieces will be pleasantly surprised, and curious all at once. Real estate agents don’t typically engage people with Snapchat, so you will be a sort of trailblazer in your industry. And who knows, one day you might just be the first agent ever to close a sale through Snapchat! I’d love to write a Snapchat case study for the real estate industry in Canada one day soon, so if you do end up being the agent who sells through Snapchat, please come back to this blog post and let me know! Best of luck out there Ninjas. Stay Social!